IS SCUBA DIVING SAFE? WHAT ARE THE RISKS? YOU BREATH THROUGH A TUBE, RIGHT? WHAT IF MY EQUIPMENT STOPS WORKING? I DON’T LIVE NEAR THE OCEAN, CAN I STILL LEARN TO DIVE? WHAT IF I’M NOT A STRONG SWIMMER, IS SWIMMING NECESSARY FOR SCUBA DIVING? I DON’T HAVE A LOT OF MONEY, HOW MUCH DOES IT COST TO GET SCUBA CERTIFIED? HOW DO I GET A SCUBA DIVING LICENSE? WHAT’S THE FIRST STEP? WHICH DIVE AGENCY SHOULD I GET CERTIFIED WITH? HOW LONG WILL MY CERTIFICATION BE GOOD FOR? WHAT GEAR DO I NEED TO BECOME CERTIFIED? WHAT SHOULD DIVERS DO FOR THEIR OWN SAFETY DURING THE CERTIFICATION COURSE? HOW DEEP CAN YOU DIVE WITH THE OPEN WATER CERTIFICATION? ONCE I’M CERTIFIED, HOW MUCH DOES IT COST TO GO SCUBA DIVING? So, you wanna know how to become a certified scuba diver? You’ve come to the right place. One of our goals here at The Adventure Junkies is to inspire you to get out and have new adventures and outdoor experiences. It’s not always easy to know where to start so we want to give you everything you need to know to get you on your way. Are you letting a nagging question hold you back from exploring the depths of the sea? Well, that’s why we put together some of the top questions about how to become a scuba diver. You know, the ones you’re too embarrassed to ask the guy at the dive shop. We’ve already given you 13 reasons to become a scuba diver, so now let’s answer all of your burning questions about how to become a scuba diver. Yes, if you stay within the recreational limits and follow the safety procedures you’ll learn in your certification course, scuba diving is a safe sport. However, there are very serious risks involved that you’ll need to be aware of. Decompression illnesses such as air embolism and decompression sickness (aka the bends) are among the top risks. The good news is these risks are easily avoidable with proper training, knowledge and a bit of common sense. Your instructor will teach you about all the risks involved with diving and how to avoid them. While Hollywood and TV love to make sharks out to be raging man eating beasts, they aren’t. I’ve been diving with hundreds of them and I can tell you all that stuff you see on TV is a load of BS. Still need some reassurance? Listen to Amos Nachoum, a leading wildlife expedition expert tell you why there are no demons of the sea. Modern scuba equipment is put under rigorous testing to ensure only top performers reach the market. On top of that, the way a diving regulator (that tube you put in your mouth to breath air) is designed to be fail safe. So, if the regulator were to fail it wouldn’t stop giving you air. Instead, it will flow continuously. You’ll learn how to breath from a free flowing regulator in your certification course. Great question! Yes you can still learn to dive, even if you live very far from the ocean. The majority of the certification course is spent learning theory and practicing skills in shallow water, normally in a swimming pool. Open water (not confined water of a pool) dives can be done in a lake, quarry or in the ocean. A great option for people who live far from the ocean is to finish all of their book work and pool skills at home. Then go to a tropical destination like the Bahamas or Roatan to do the certification dives. This is done through a referral system, where one instructor signs off on the knowledge development and pool skills so another instructor can take over and finish off the course. Some swimming skills are required to become a scuba diver. PADI will require you to swim 200 meters and float/ tread water for 10 minutes. If you know how to swim but aren’t a strong swimmer, don’t let this discourage you from learning how to dive, just practice these basics before you sign up for a scuba course. Let’s be honest, scuba diving isn’t cheap. But that doesn’t mean you have to be rich to enjoy this sport either, you just have to make it a priority. We’ll talk a bit more about how much getting into the sport costs so you can budget for it and start your scuba savings fund. The price of a scuba course varies greatly to where you choose to get certified. To give you a rough idea, Open Water courses range from $300 to $500. No, you don’t need to be certified to try scuba diving. But, you do need to be certified do go on dive charters, rent equipment and get air tank fills. If you raise the “do I need to be certified to scuba dive question?” because you want to learn on your own or have a friend who wants teach you, let me stop you there. There are serious risks to scuba diving (death is amongst them), the skills and theory you learn in a course are essential for avoiding these dangers. 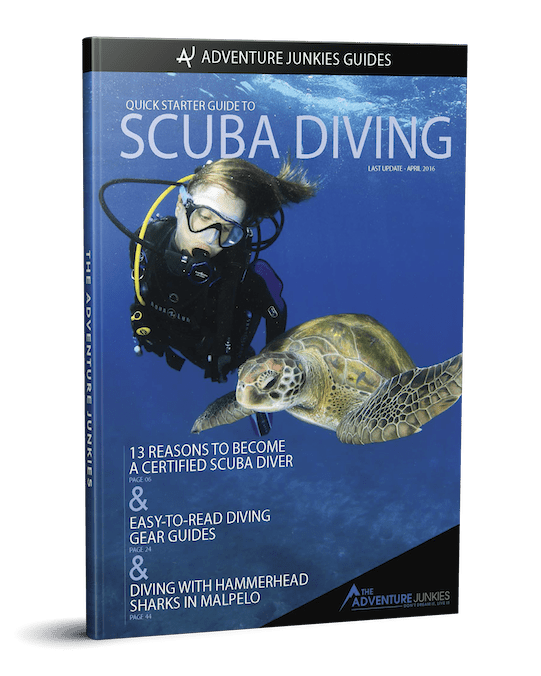 The first step to becoming a scuba diver and earning your certification card is to find a dive shop near you (browsing the internet is a good place to start) and ask them about signing up for a course. The beginner course needed for certification is an Open Water scuba diving course. 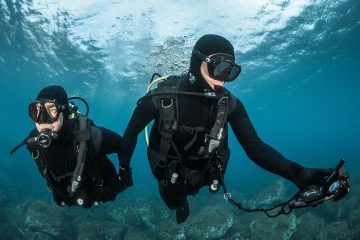 While there are lots of different agencies out there that offer their own unique course (we’ll get to that), all courses teach the same diving theory and the skills needed to dive safety. There are lots of certifying agencies in the world but the two big ones are: PADI & SSI. Scuba divers love to have heated debates about which agency is the best. But don’t get caught up on the PADI vs SSI debate because the truth is the quality of your course greatly depends on the attitude and ability of your instructor. All agencies deliver courses that meet the standards of the WRSTC (World Recreation Scuba Diving Council). Also, certifications are interchangeable. So, if you decide to do your Open Water course (level 1) with SSI you can always decide to take the PADI Advanced course (level 2) without having to start all over with the PADI system. Here’s a quick run down of the top 2 agencies to give you an idea which is best for you. 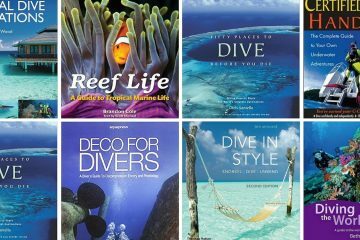 PADI requires each student to have their own PADI course book (unless they pay extra for e-learning). PADI Instructors must follow a rigid course structure. This is so theoretically the course is the same no matter who your instructor is or where you take the course. SSI course come with online instruction that you have lifetime access to so there’s no need to buy books. SSI Instructors have more flexibility in how they can teach their students. This can give you a more personalized course. While PADI steals the fame for being the most recognized world-wide, that doesn’t mean that a certification from a different agency is valued any less. 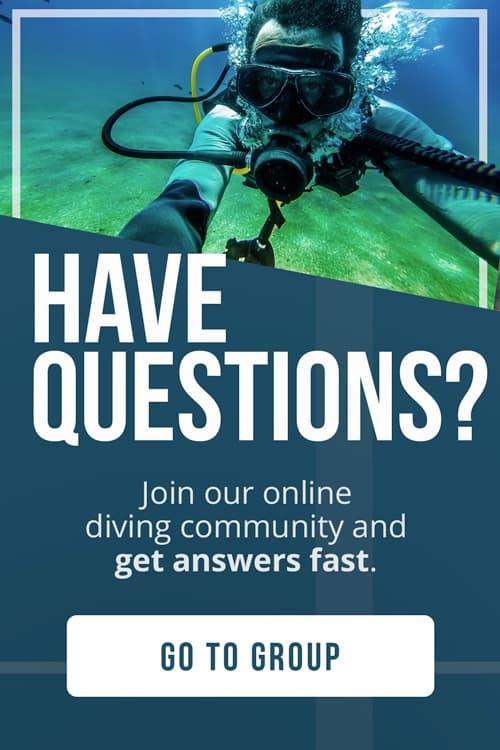 Both PADI and SSI have an online system so if you forget your C-card and the dive shop has internet, they will be able to look up your certification. The Open Water course is practically identical with only some minor variations in the order of the skills. The simple answer is, at the end of the day you want a certification that allows you to dive all over the world. Instead of getting hung up on the agency, find an instructor you’re comfortable learning from and go from there. It typically takes 3 to 4 days to complete the Open Water course. Of course, this is also dependent on your personal schedule. Some people choose to do weekend courses, so it will take a few weeks to complete it. Once you get your certification you will have it for life. Having said that, it’s good to take a refresher course if you haven’t been diving in a while. The minimum age to learn how to scuba dive is 10 years old. For kids younger than 10, some agencies offer special programs like PADI’s bubble maker or SSI’s Ranger. There’s no maximum age and people in good health can safely enjoy scuba diving well into their later years. 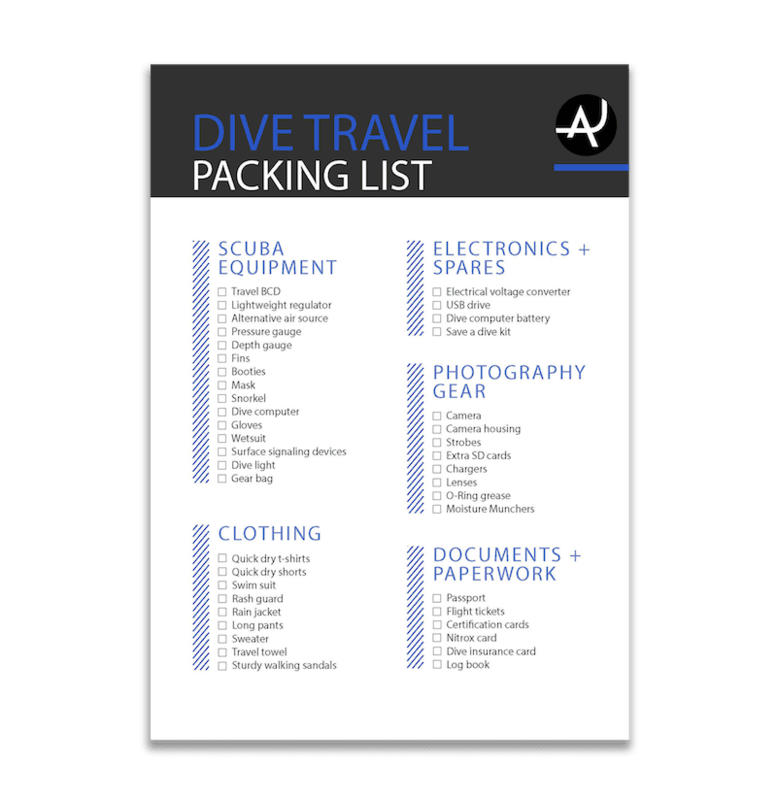 The dive center typically will provide you with all the equipment you need during your course. Be sure to ask before you sign up if you will need to rent or buy any equipment. After you finish your course, it’s a good idea to start looking into buying your own set of gear. You’ll feel much more comfortable underwater because it will fit you great and you’ll know how to use it. If you have a limited budget and can only invest in a few pieces of gear at the moment, a dive computer and a scuba mask are two of the most important pieces of kit to own. To stay safe during your course, follow your instructor’s directions and stay close to the group. 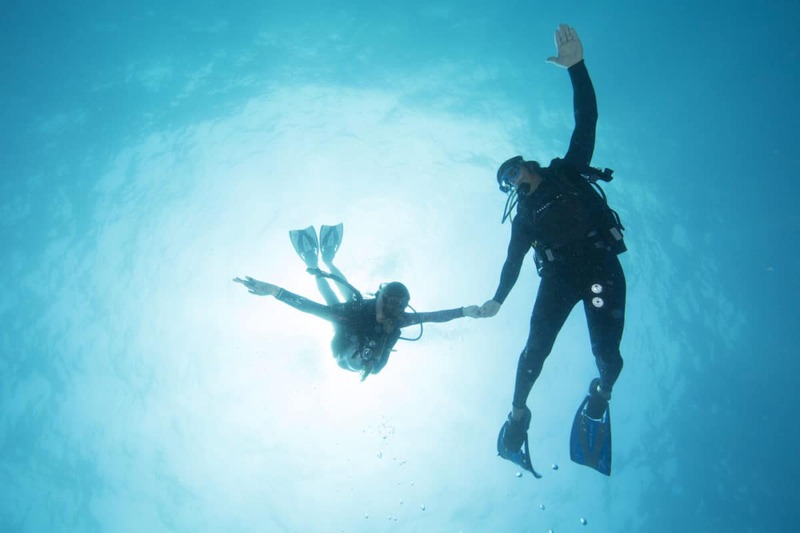 If you are on an open water dive, get into the habit of checking your air often and let your instructor know right away if you are getting low. Your certification course will go over all the skills you need to be a safe diver. 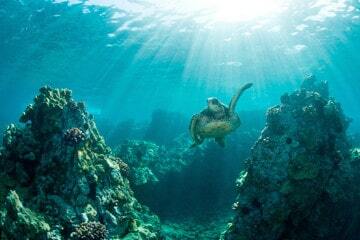 The recreational depth limit for scuba divers is 130 feet (40 meters). However, with the Open Water certification it’s recommended that you don’t dive deeper than 60 feet (18 meters) until you have completed Advanced diver training. Scuba diving is not an inexpensive hobby so it’s good to have an idea of what costs are involved before you invest in learning this sport. You’ll need to buy or rent equipment. Scuba gear is an investment. If you dive a lot, buying your own gear pays for itself in the money you save from rental fees. 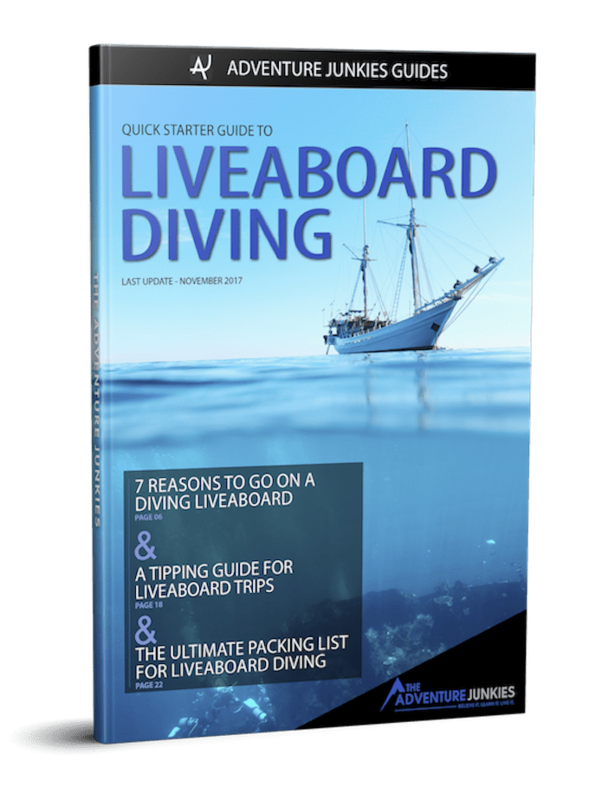 You will also need to go with a diving charter unless you live close to shore dives or have your own boat. The prices for a charter is dependent on where in the world you want to go diving and of course how far is the dive site from land.